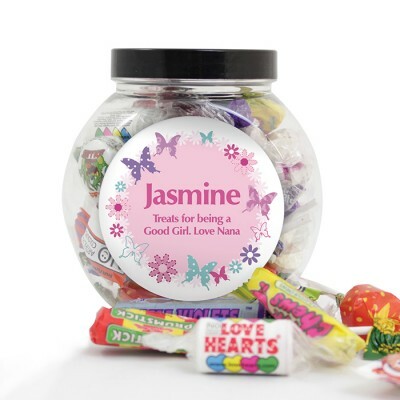 Personalise this Butterfly Sweets Jar, with a name, and a message over two lines. Sweet Jar is plastic with black plastic screw top. Sweets are an assortment of Swizzels Matlow sweets.